UNITED XXVI Collection by Aeropostale. Shop Online. 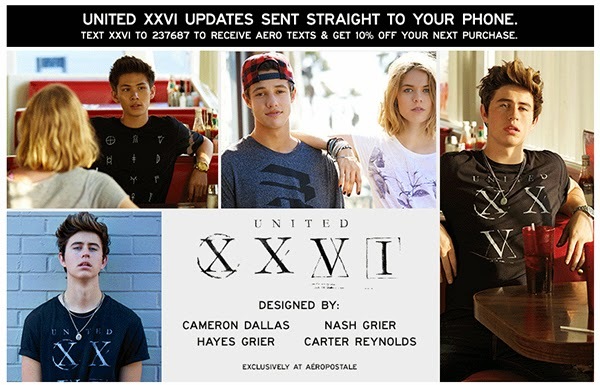 Vine stars Hayes Grier, Nash Grier, Cameron Dallas and Carter Reynolds lunched the UNITED XXVI Collection for Aeropostale, and both the online store, and actual aeropostale shop stores, are about to blow out. 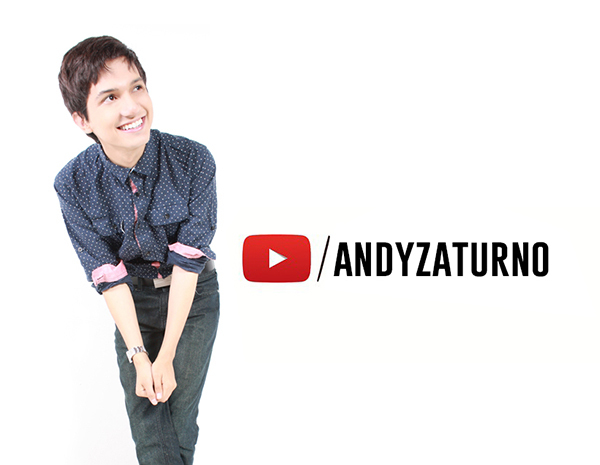 The first UNITED XXVI Collection launched at Aeropostale stores and online on the October 26, 2014, and every follower of these social media stars are shopping their collection, designed for both men and women. The designs were picked by Cameron Dallas, Nash Grier, Carter Reynolds, and Hayes Grier themselves. Who knew they would ended up being in fashion related stuff? The prices of the clothes range from $13-$20. This is not the first time that Aeropostale works with social media stars, last season they collaborated with Bethany Mota on her own capsule collection. And looks like it is working for them. Nash Grier, Hayes Grier, Cameron Dallas and Carter Reynolds boast more than 22 million followers together. Here are some pictures of the UNITED XXVI Collection by Aeropostale.